Quebec City is known for historic sites, nature, museums, nightlife, and shopping. Your plan includes some of its best attractions: get to know the fascinating history of Old Quebec, learn about all things military at La Citadelle de Quebec, wander the streets of Terrasse Dufferin, and examine the collection at Musee de la Civilisation. 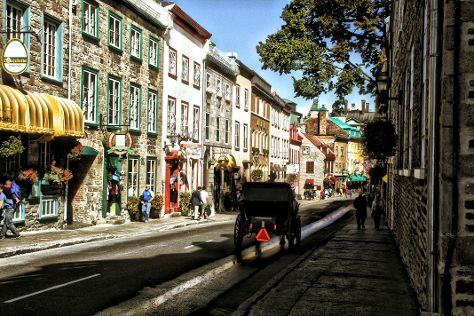 Start your trip to Quebec City by creating a personalized itinerary on Inspirock. Sofia, Bulgaria to Quebec City is an approximately 16.5-hour flight. You can also do a combination of flight and train; or do a combination of flight, taxi, and bus. The time zone changes from Eastern European Time (EET) to Eastern Standard Time (EST), which is usually a -7 hour difference. Expect slightly colder weather when traveling from Sofia in September: highs in Quebec City hover around 25°C, while lows dip to 13°C. Finish up your sightseeing early on the 20th (Thu) so you can travel to Gaspe. Gaspé is a city at the tip of the Gaspé Peninsula in the Gaspésie–Îles-de-la-Madeleine region of eastern Quebec, Canada. 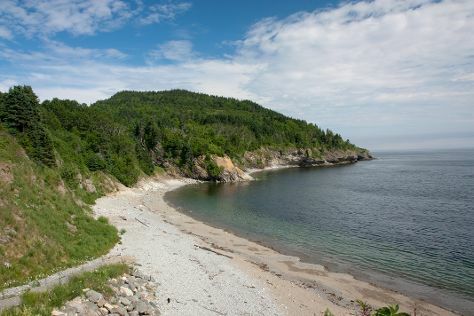 Start off your visit on the 21st (Fri): explore the wealth of natural beauty at Forillon National Park. Get ready for a full day of sightseeing on the 22nd (Sat): look for gifts at Agate et Caillou, take in the spiritual surroundings of Church of Saint-Michel de Perce, then make a trip to Pierced Rock (Rocher-Perce), and finally head outdoors with Perce Rock. To see ratings, reviews, traveler tips, and other tourist information, use the Gaspe trip builder tool . You can fly from Quebec City to Gaspe in 4.5 hours. Alternatively, you can drive; or take a bus. Expect little chillier temperatures when traveling from Quebec City in September; daily highs in Gaspe reach 21°C and lows reach 7°C. Wrap up your sightseeing on the 22nd (Sat) to allow time to travel to Montreal. Montreal is known for historic sites, parks, museums, nightlife, and fun & games. Your plan includes some of its best attractions: make a trip to Notre-Dame Basilica, hunt for treasures at Jean-Talon Market, get engrossed in the history at Pointe-a-Calliere Museum, and admire the masterpieces at Montreal Museum of Fine Arts (Musee des Beaux-Arts). To find where to stay, traveler tips, maps, and other tourist information, use the Montreal trip planner . Getting from Gaspe to Montreal by flight takes about 5 hours. Other options: do a combination of flight and train; or drive. Plan for a bit warmer temperatures traveling from Gaspe in September, with highs in Montreal at 26°C and lows at 15°C. Cap off your sightseeing on the 27th (Thu) early enough to travel back home.